Look handsome without over complicating your grooming routine. From fighting pimples to wrinkles and everything else in between, discover how to handle skincare like a man – without throwing in the towel. 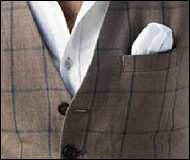 It’s time to invest in your beauty, just as you would when shopping for a new suit. Now, I know there are an endless number of men’s treatment products out there, and the whole process seems over complicated. However, the truth is, it’s remarkably straightforward to get better skin. In fact, I’m going to show you how in five steps so you can get started with your regimen. Plus, I’ll teach you some of the best skincare tips for men that I’ve learned over the years. If you’ve ever wanted to achieve an attractive and glowing skin that women and others notice, here’s precisely what you need to know. Aim to cleanse at least once per day, do so in the PM. Treat your skin to this step on a daily bias. For skin that is super oily in the morning, cleanse in the AM. For skin that’s dry or dehydrated, wash your face with only water in the morning. (AM) Limit cleansing to the PM. If you’re turning up the temperature in your shower to scorching hot and using a harsh soaps or face scrubs, you’re doing more harm than good for your skin. The truth is, this process is like unleashing a destructive army upon your face. And there’s no doubt about it, it will get you clean, yet it’s far from gentle which is what you need. The right cleanser, a gentle one, won’t make your skin dry or appear wrinkly. It will, however, remove any accumulated residue, dirt and excess oils from your skin. Think of it as the proper way to prep your skin for the next treatment products. How do you tell if your cleanser is too harsh for your skin? It’s easy; there are a few tell tale signs like skin that feels tight, squeaky and uncomfortable. You might also notice more blackheads too. Remember, your skin’s natural PH balance is around 4.5 – 5. If your cleanser has too high of an alkaline, you’ll notice more irritation and breakouts. Splashing your cold water on your face after you cleanse is a popular myth. It won’t close your pores or help to keep the gunk out. If you’re having issues with your face whether it be red bumps/patches appearing or roughness, stop using your tools. Put down the washcloth, sponges, etc. and only use your hands to scrub for 2-3 weeks. You may potentially notice a difference, and within time can bring these tools back into your routine gradually. If that doesn’t work, consider switching from a physical to a chemical exfoliant. I’ll cover this in more detail below. Once or twice per week. Gradually increase the number of times per week if your skin seems to tolerates it. If your skin appears irritated or dull, reduce the frequency back down. Generally for most men with oily skin this will be twice a week. However, for men with dry skin, exfoliating should be done only once per week. When you exfoliate you remove and slough off the built up dead skin cells and gunk from your body. By facilitating a normal skin-cell turnover rate, your skin will become less dry. Not to mention, it also assists in unclogging your pores and plays a vital role in preventing ingrown hairs when you shave. But keep in mind, don’t try to scrub magically away blackheads and acne when exfoliating, it doesn’t work like that. Even though it can at times, it can almost feel like it should. And just like cleansing, consider exfoliating to be another step in preparation for your next skincare products. Exfoliating will allow them to penetrate deeper. For most men, a chemical exfoliant is going to be the best course of action. However, to avoid irritation, it must be done correctly. Often physical exfoliants will be harsher on the face, and you may notice they don’t remove skin cells as evenly. Plus you if you apply too much force, you can damage your moisture barrier, which promotes acne growth. Now if you want to stick with a physical exfoliant, you can if that’s what works best for your skin. Just remember to use a microfiber cloth, konjac sponge, or generally aim for men’s product with Jojoba beads. With that said, I’d like to tell you a little more about chemical exfoliates. Now, the chemical treatments will do a few things quite brilliantly: improve your skin tone, remove closed comedones (clogged pores), and of course, battle acne. How they work is simple: AHAs including lactic and glycolic acid weaken the bond between dead skin cells, so they shed right away. You’ll notice a brighter more radiant skin as the result. There’s also BHAs or salicylic acid, which penetrate deeply to splinter sebum thanks to their soluble lipid nature. If you start with an AHA, chemical exfoliant, it is essential to add sun protection to your routine. What happens is the AHAs will make your skin more sensitive to the sun causing things like wrinkles, pigmentation spots and certainly sunburn too. 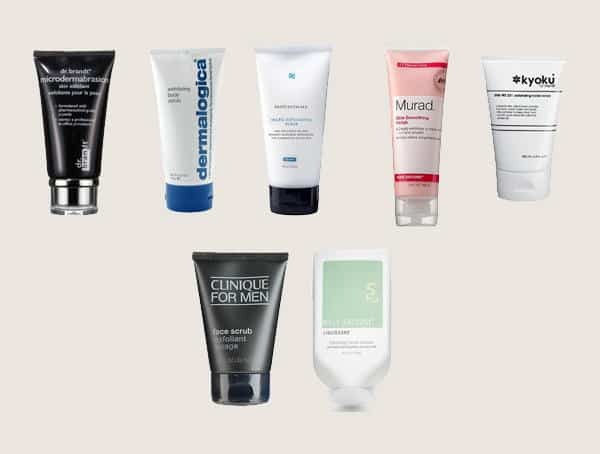 With a chemical exfoliant, most men should start first with a lower percentage. Understand that a higher percentage, while seeming more powerful, will not speed up the process or magically produce overnight results. Slow down unless you’re prepared to deal with long-term skin damage and problematic issues down the road. In my next guide, I’ll teach you incredible shaving tips, but just know that if you want a better shave, you must exfoliate before shaving. Remember, after whacking your face with the razor blade your skin is already super sensitive as it is. One of the worst things you can do is to put it through a second war. It will show you back signs of defeat with redness and irritation. As needed. Consider them as going the extra mile in your skincare efforts. You can use a spot treatment over or under your moisturizer, whichever works best for you. Investing a bit further in your skincare routine will help with things like acne, hyperpigmentation, wrinkles, etc. Let’s say you have a gruesome pimple, a spot treatment can help you avoid picking at it. Because when you do, you’re not only spreading bacteria, but you’re also running the risk of permanent acne scars. The truth is a good spot treatment will have antimicrobial and anti-inflammatory properties too. Speaking of acne, if you use a benzoyl peroxide cream or wash, allow it to soak for several minutes before rinsing it off. What you want is for it to soak in deep enough. Here’s where most men rush the process and end up eliminating the effectiveness, don’t do that. Another thing to consider is the % of benzoyl peroxide. 2.5% is a great way to start out, but just be aware there are some side effects like redness, dryness and sensitivity that can occur. Though, truth be told, back when I was dealing with acne, I could care less about the side effects as long as the pimples were gone. What I realized was the stronger percentage of benzoyl peroxide, the better the results. So I continually and gradually increased it. Eventually, I started using 10%, which was the highest I could easily purchase at the time. Needless to say, it worked wonders. But remember, this all depends on your skin type. 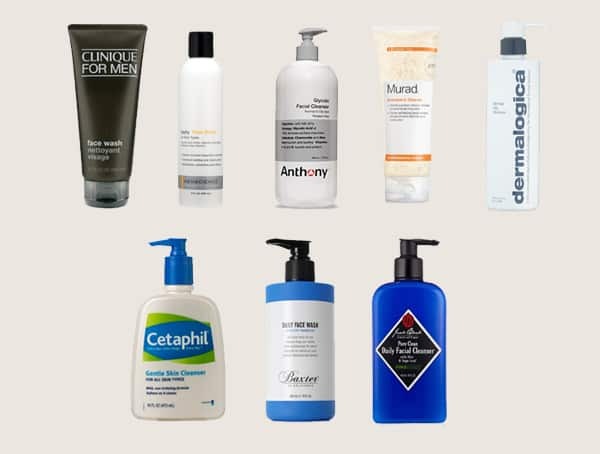 For some men, benzoyl peroxide is not even an option. Sulfur ointment and creams, however, can be an excellent alternative and a tad less harsh. You can also try using clay masks to help clean out your pores and reduce acne. You can also use Vitamin C/antioxidant serums for a boost in any anti-ageing skincare routine. These topical antioxidants offer photoprotection and block oxidation and inflammation. Plus, Vitamin C can play a role in ramping up collagen production too. Add in ferulic acid and the results can often be twice as effective. There’s also retinoids, which can be used for treating things like acne and hyper-pigmentation, plus anti-ageing purposes too. How is they work is by sloughing off dead skin cells, so they don’t clump together and clog your pores. It may seem simple enough. However, the scientific understanding of their precise function is super sophisticated. There are all sorts of different types of retinoids, yet all of them are various forms of Vitamin A. Some you can purchase over the counter while others required seeing a dermatologist and getting a prescription. Avoid doing anything that damages your capillaries. In other words, don’t squeeze pimples and blackheads if you want flawless skin in the long run. 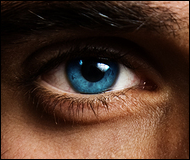 What do you in your twenties will affect how you look in your forties and beyond. If you succumbed to temptation and just had to pick a pimple, put a triple antibiotic ointment on the blemish. It can significantly help speed up the healing process and ensure a lower chance of scarring. Anytime you clean your face, including right after you take a shower. If you don’t want your face to feel like sandpaper to the touch, then you must moisturize. It’s the vital key to achieving soft, supple and healthy skin. Understand that whenever you cleanse your skin, you’re also stripping away all the natural and beneficial moisture produced by your body. It’s essential to replenish that lost supply because otherwise you start encountering things like dry, dehydrated, dull and sensitive skin. Should you go without moisturizing after using benzoyl peroxide or chemical exfoliates, for example, you’ll only make matters worse. 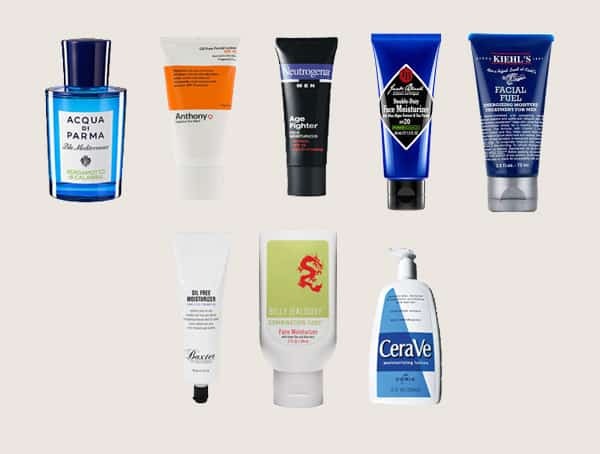 For men with oily skin who don’t want a shine caused by moisturizing, try a gel instead. If gel doesn’t work for you, try a light lotion or occlusive (water trapping ingredient). If your skin doesn’t feel hydrated after moisturizing, or should it burn or tingle, stop and check the ingredients. You’ll need to switch to a different skincare product. However, should that still not work, you have another option to consider. Sleep with a humidifier at night while using an occlusive like Vaseline. Put it on your driest areas before you go to bed. Argan and mineral oil, ceramides, aloe, shea butter, and petrolatum (Vaseline) can help when nothing else works to combat your dryness. Antioxidants including vitamin C, quercetin, and niacinamide can give your skin a boost too, year-round. The truth is, you can use Vaseline with your moisturizer. Aim for ingredient lists that have high humectants, usually glycerin then hyaluronic acid and squalane. They’ll help retain moisture while Vaseline and mineral oil will help lock it in. Certain moisturizers have formulas with sunscreen included, keep an eye out for that. When to apply sunscreen: On a daily basis, no exceptions. All seasons including the Winter too. You’ll want to use a sunscreen with a bare minimum SPF of 15, however, aim for 30 SPF and upwards. Apply 1/4 TSP to your face, and other 1/4 TSP to your neck. Keep in mind this is a typical face size, every man’s needs will differ. Sunscreen is essential if you want to prevent dry, wrinkled, and discolored skin over the course of the time. With exposure from the to the sun’s detrimental ultraviolet rays, you’ll notice a thicker, leathery skin tone. However, that not exactly a good thing. The truth is your skin will be weaker and be prone to bruising more easily. Plus just think of all the times your face gets exposed to the sun. From the window by your office desk to the drive home in the car, harmful rays will find you. If you take the right precautions when it comes to using sunscreen, there are some added perks. Sunscreen can slow down the process of premature again skin, and reduce things like blotchiness and red facial veins too. Regardless if your sunscreen is waterproof, it’s not still not people-proof. Most men have a habit of wiping the sweat away from their face. Remember to re-apply it often. If you’re going to spend an entire day outdoors, plan on bumping up the SPF. If you typically use an SPF 15, go with an SPF 30 instead. If you want to age-proof your skincare routine, it’s essential to use a sunscreen with the highest PPD (persistent pigment darkening) value your skin can tolerate. (Also understand that Burning is UVB while aging is UVA). When it comes to anti-ageing products, the most important of them all is sunscreen. Understand that the sun is responsible for 80% of visible ageing when it comes to men’s skin. Retinoids, niacinamide, vitamin C, etc. are still however to use in your routine, just don’t forget sunscreen. Toner can be quite confusing for some men, considering that there’s no real way to define what it truly means. At the end of the day, it’s only a liquid product for your skin. This can be in the form of glycerin and hyaluronic acid for hydrating, or AHA and BHA for exfoliating. Between AHA and BHA, you’ll find that BHA, a lipid-soluble can cut through sebum and oils while AHA cannot since it’s water-soluble. If you’re going to use an AHA, use a BHA before to help it penetrate more efficiently. Don’t limit yourself to just one brand, unless, of course, you want to. The truth is you can mix up products from different brands, and create a perfect skincare regimen designed for your particular needs. You should also recognize that particular manufacturers will re-label their female products and re-market them towards men. Don’t ever feel ashamed to use a product that claims it’s for women. And when it comes to price, don’t always assume the higher the price, the more efficient it will be. Trust the ingredients above all else. Keep an astringent pad with you to wipe off all the excessive oils during lunchtime. You are what you eat, which means the health of your skin is also affected the diet choices you make. Choose fruits and proteins over fried fatty foods. Watch your water consumption too. Aim to get a healthy nights rest between seven to nine hours per night. A lack of sleep will show all around your eyes. Avoid smoking and drinking alcohol if you can. Try taking fish oil or omega-3 supplements. Steer clear of any lip balms or chapsticks that give off a cooling sensation. Most often they’ll claim they are medicated and have citrus oil. When applied to your lips it can often make them drier once you stop using them.